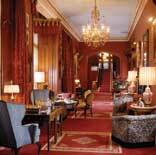 This authentic sixteenth century castle is one of Europe's foremost luxury hotels. 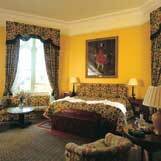 Stately halls, magnificent public rooms and luxurious guestrooms are standard at Dromoland. 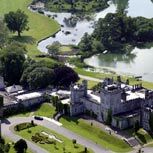 Located on more than four hundred acres of woodlands and landscaped gardens, Dromoland Castle offers a wide variety of activities, including fishing on its scenic lake, tennis and horseback riding. 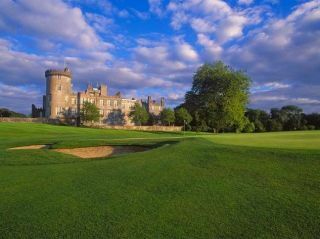 Dromoland also has a championship 18 hole golf course on its premises. A full service spa with an indoor pool, gym and sauna is also available. The Earl of Thomond Restaurant offers dining at its best as well as panoramic views of the lake and the golf course.